Pedders lowering springs supply the ride height you want for the performance application and look that you desire. 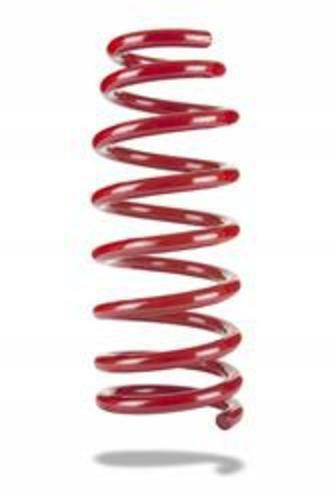 Being the foundation of your suspension system, Pedders coil springs are sent through a series of procedures critical in delivering consistent height, weight, and durability. The springs are hot-coiled, oil-quenched, and furnace-tempered. Then shot-peened with full hardened steel shot and fully scragged to effectively pre-set the spring and determine the finished height. Before they are powdercoated, all springs are load height and rate tested to a 2mm tolerance. Their attention to detail offers the lowering spring performance you expect; absorb the shock with Pedders drop springs. Fits 08-up Dodge Challenger, 05-up Chrysler 300, 05-08 Dodge Magnum, 06-up Dodge Charger. Lowers Rear of vehicle 0.591 in. Fits models with self-leveling shocks only.